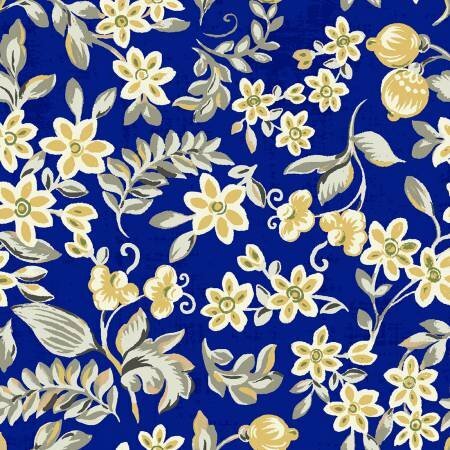 Navy background with a medium scale floral design in ecru, gold and gray. Welcome to your quilting shop! The Quilt N Bee is a full service quilting shop with everything for the beginner through the advanced quilter. Come see us when you are in southwest Oklahoma!